Now is the time for Kentucky tourists and residents to make spring and summer road-trip plans. The state’s new highway map encourages travelers to discover food adventures, to explore Kentucky’s rich outdoor landscapes and waterways, as well as African-American heritage and Kentucky’s unique history related to bourbon, bluegrass music, horse racing, farming and agriculture. Adair County has a rich history with so much to offer visitors. For the ardent history lover, people can discover Adair’s remarkable families by visiting the Adair County Public Library Genealogy Department. The collection has developed over time to become one of the largest collections of family history information in the area and includes family histories, indexes to records, cemetery transcriptions, family history files, and more. For the avid “foodie,” Adair County boasts a wide variety of restaurants serving regional favorites like BBQ, fried catfish, pinto beans, greens, cornbread, and country ham. For those with a more eclectic taste, you can find items like dry-land fish, burgoo, quail, deer, and other wild game being served at dinner tables throughout the county. Outdoor adventure enthusiasts will find Green River Lake, a multitude of creeks and waterways as well as camping grounds, walking trails, and all-terrain vehicle trails and playgrounds for thrill seekers and nature lovers alike. Weekly and annual gatherings like the Farmers’ Market on the Square, Downtown Days, Re-Visit Knifley and the Central Kentucky Outdoor Expo bring Adair Countians and outsiders together to celebrate local lore and traditions. The 2018-19 Kentucky Official Highway Map is now available at rest areas, welcome centers, local convention and tourism offices and all Kentucky state parks. The map summons travelers to create lasting memories as they navigate along Kentucky’s highways, byways and parkways. A message included in the map from Gov. Matt Bevin welcomes visitors to explore the beauty of the Commonwealth. For help planning your next adventure or to learn more about the featured attractions, visit www.kentuckytourism.com. Share photo highlights of your adventure by using the hashtag #KYshines on social media. 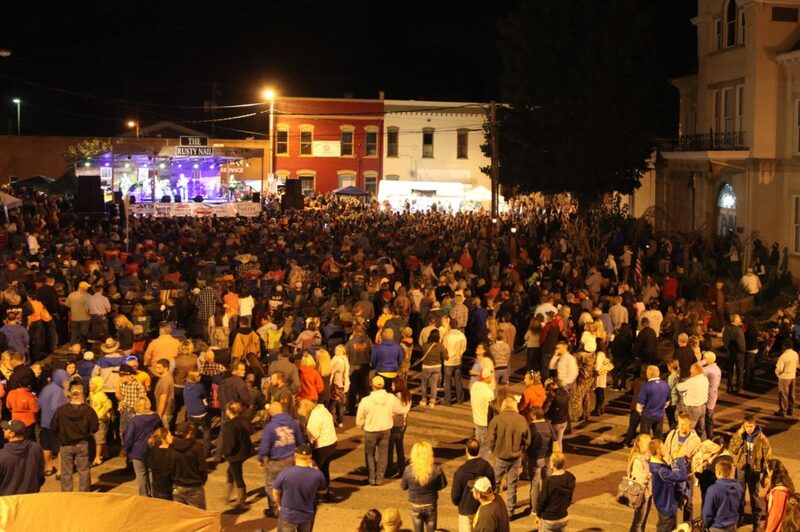 Columbia’s Downtown Days is a popular annual event in October. Locals and visitors enjoy free concerts and events throughout the day.